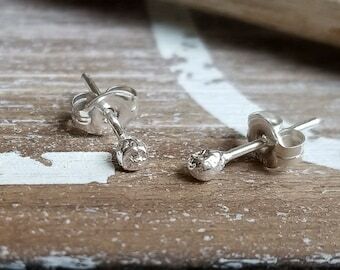 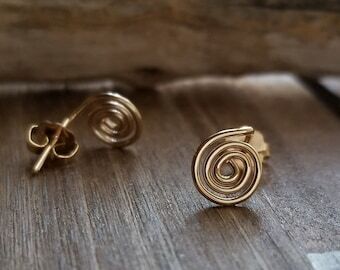 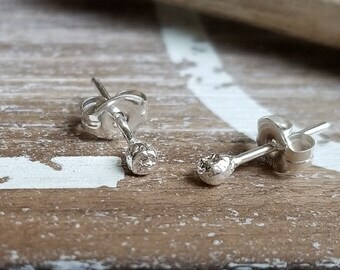 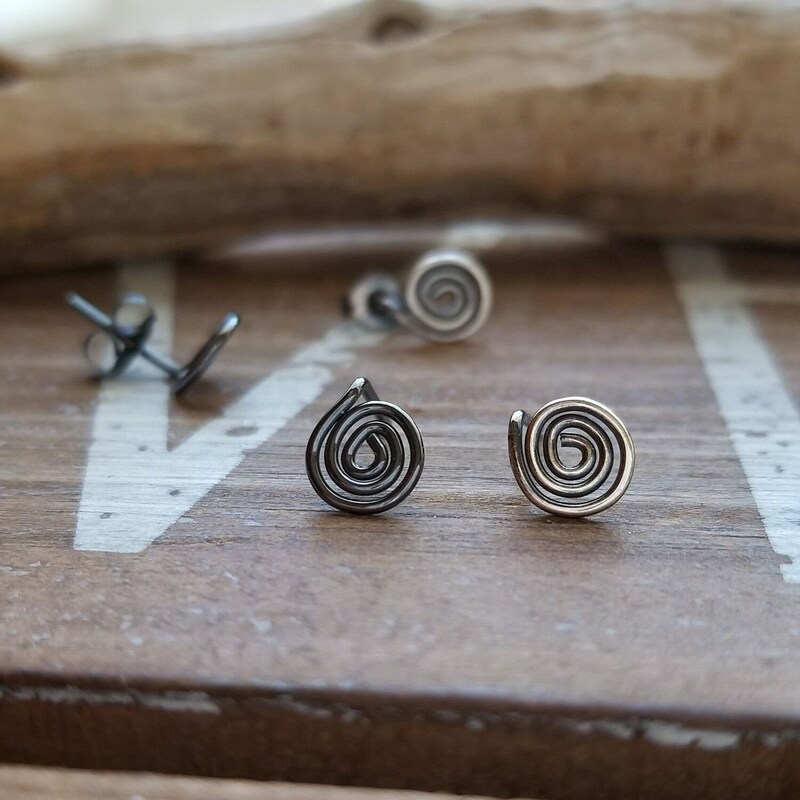 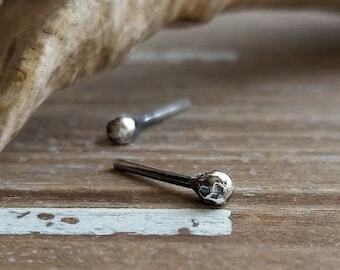 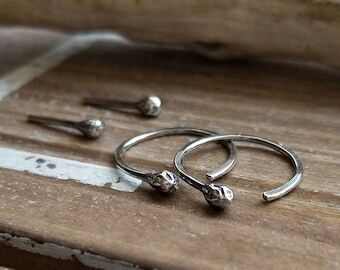 No matter what metal or finish, these Sterling Silver tiny spiral stud earrings look awesome. 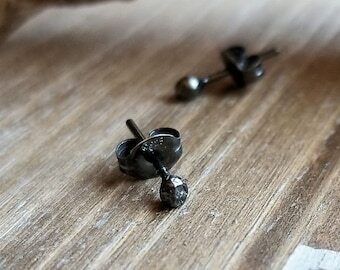 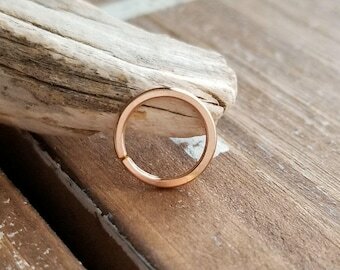 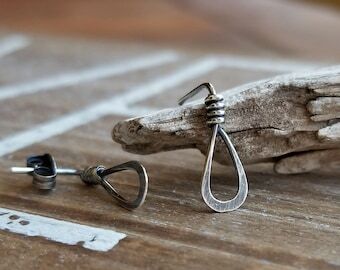 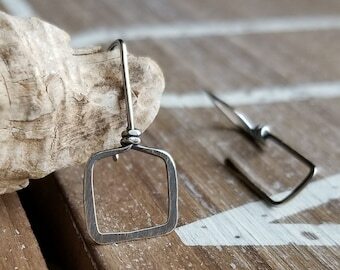 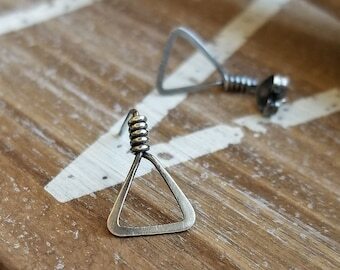 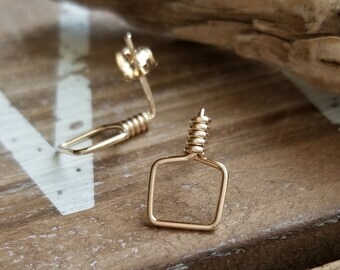 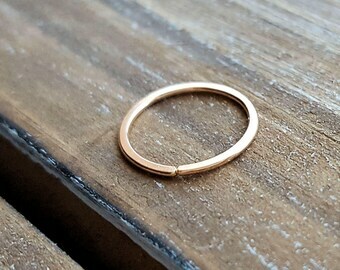 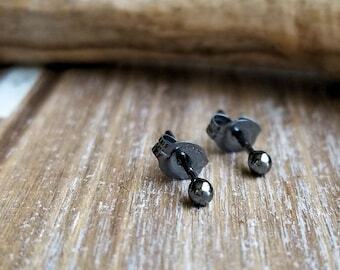 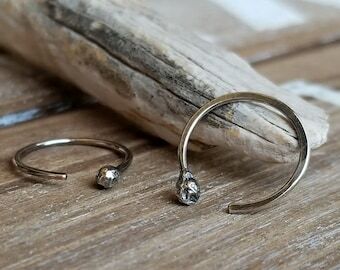 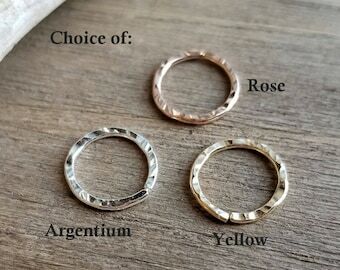 They will be oxidized in your choice of Gunmetal or Antiqued. 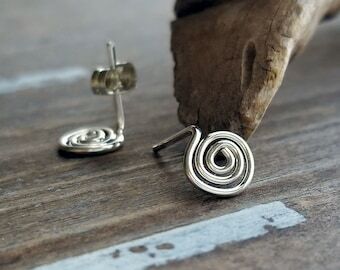 With 20 gauge Sterling Silver wire, I create these swirl post earrings, file the ends for comfort and finish with a tumble polish. 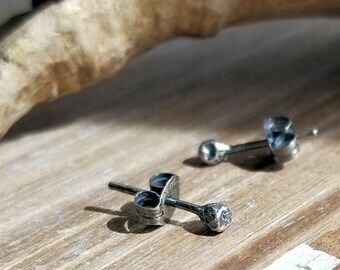 The choice of Gunmetal is left in an all over dark finish and the Antiqued is hand finished for an aged look - see photos for examples. 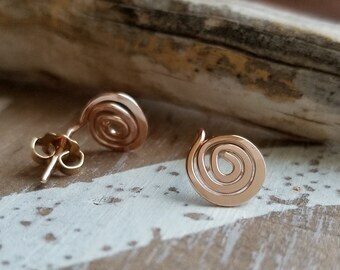 Link below is for my Bright Finish pair.